"Hidden gem" is potentially one of the most over-used terms in travel. When it comes to Leitrim, however, the glove fits. 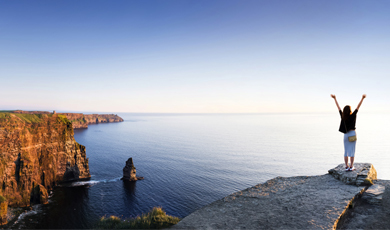 Leitrim’s modest 4km coastline is a popular spot for photographers exploring the Wild Atlantic Way – the world’s longest defined coastal touring route. And travelling around, don’t be surprised if you’re often alone! This is Ireland’s least populous county and Leitrim only got its first set of traffic lights in 2003. 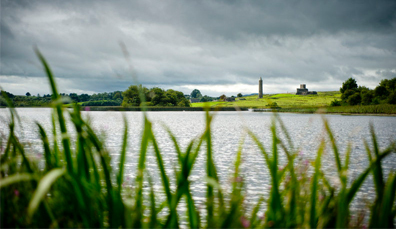 As well as being the mythical source of the River Shannon, the rural landscape here makes it a go-to getaway for cruise boats looking to escape hustle and bustle of modern life. If you like water, you’ll love Leitrim. The county is brimming with lakes and rivers, and those lakes and rivers are brimming with bream, tench, rudd, roach, salmon and pike. Cruisers can stop at picture-postcard villages such as Drumsna or Dromod, or thread their way into Northern Ireland via the Shannon-Erne Waterway. Its 16 electronic locks mean you’ll hardly break a sweat. If you really want to hide away, why not leave your phone behind and hit Lough Allen for a bout of windsurfing, sailing or wilderness therapy? Picture yourself paddling out to a deserted island for a spot of fire-making and bush cooking, sleeping under the stars and tucking into a bowl of fresh nettle soup, washed down with dandelion tea. Leitrim’s most famous literary association, of course, is poet and playwright William Butler Yeats. His faerie-laden poem from 1886, The Stolen Child, evokes “wandering water” gushing on the hills above Glencar. Visit today, and you’ll find the same cascade at Glencar Waterfall – particularly after a romantic shower of rain. But wordsmiths aren’t the only ones drawn to the waters and the wild. In recent years, Leitrim has seen a steady trickle of artists and craftspeople taking up residence in its quiet countryside, dispatching jewellery, ceramics, bags and textiles all over the world. In fact, over 250 artists and craftspeople can be found at work in Leitrim today and you can browse their wares at Leitrim Design House. A reboot of Carrick-on-Shannon’s old courthouse, this stately building now hosts everything from Tai Chi classes to designer teapots. Carrick-on-Shannon is Leitrim’s beating heart, the cruise capital of the Shannon, and an ideal place for a stroll beside the marina. Grab a beef and Guinness stew at a cosy gastropub, savour the award-winning scones in Lena's Tea Room, dance the night away in one of the many lively late bars or check out Costello Memorial Chapel, a souvenir-sized church with a big heart. Erected by local merchant Edward Costello after the premature death of his wife in 1877, the memorial is still a resting place of the couple. Ireland's hidden waterways are a world away from the rest of this island, connecting north to south, county to county and mystical past to modern present. 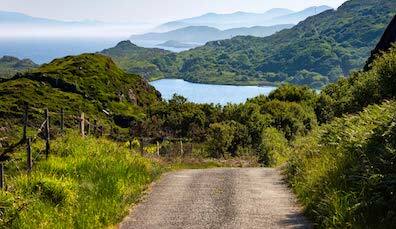 With so much to see and do along the Wild Atlantic Way, it’s up to you to decide how you want to take it all in! Here are some of our favourite suggestions. Enhance your feed or capture a photo to last a lifetime, here are six of the best photo opportunities along the Wild Atlantic Way. 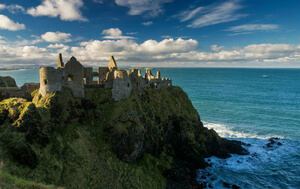 Experience with wind and waves of Ireland's epic north east coastline.